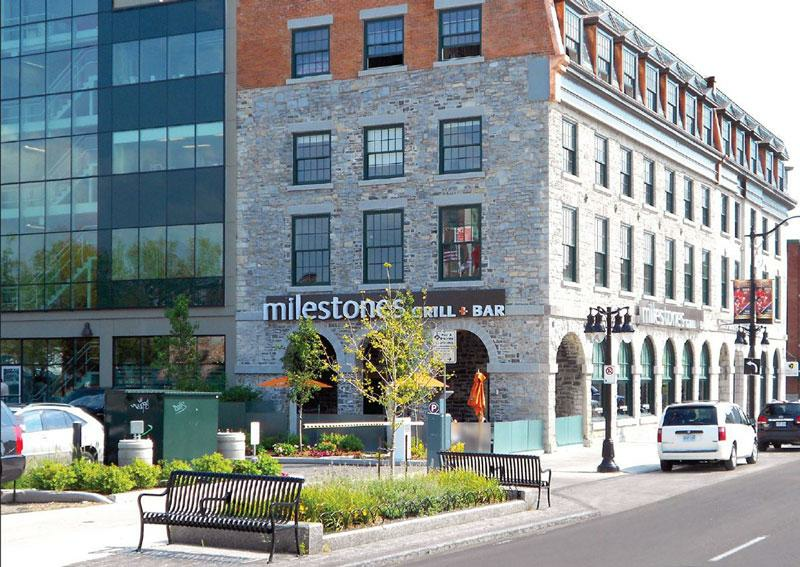 The Livable City Design Awards celebrate Kingston's long tradition of architectural excellence and creative urban management. The program recognizes and promotes excellence in urban design, publicizes the City's desire for design leadership by example, and assist in raising the quality and image of the City. The City's 2017 Livable City Design Awards celebrate excellence in urban design and architecture by recognizing exemplary projects that have been completed over the last three years. These projects demonstrate creativity and innovation, make use of quality materials, and are mindful of environmental and accessibility concerns. Any original project that was completed in Kingston between Jan. 1, 2014 and Dec. 31, 2016 and is visible or accessible to the public was eligible for entry. The 2017 Livable City Design Awards were handed out at a ceremony in City Hall in November 2017. View the images below to learn more about the 2017 Livable City Design Award winners. 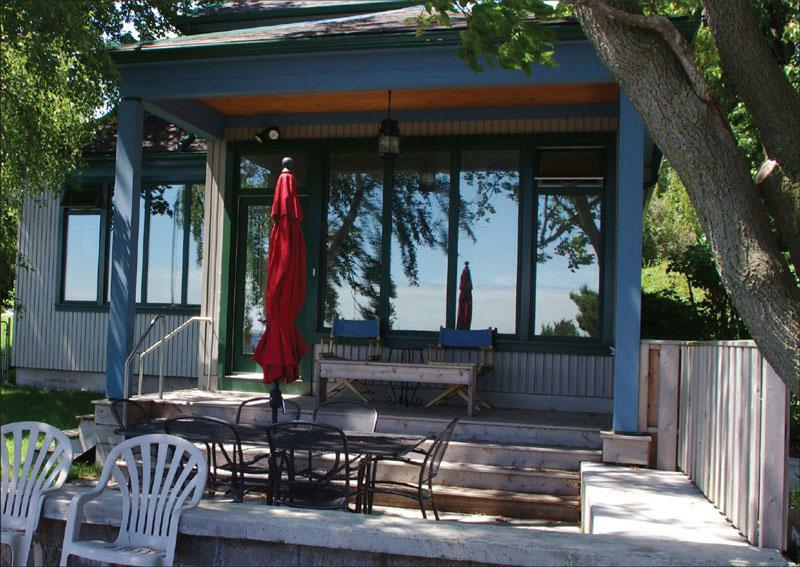 This home was built on the last undeveloped lot on Lakeshore Boulevard, a property owned by the family for over forty years. With the intention of building a sustainable, accessible home that will last for generations, they created a home that accommodates a live/ work lifestyle, aging in place, and a centre for their extended family. The challenge in this project was to bring a large scale building mass into a settled and well established streetscape and block structure of low-rise historical buildings. Much of the detailing and material choice were introduced to mitigate and enhance the change in scale, and to break the building mass down into simple pieces. The building was conceived in a spirit of contextuality while free from the pitfalls of being locked into stylistic constraints. 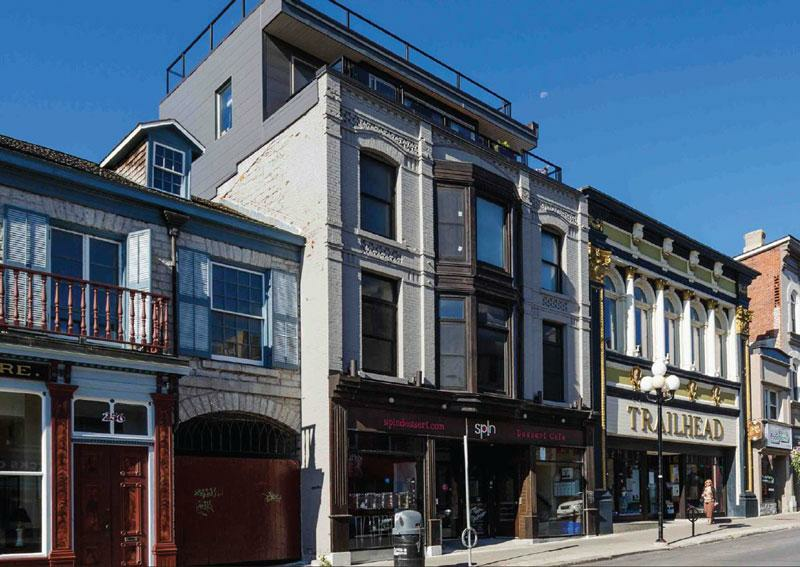 Kingston’s approach to focus on material and massing compatibility has allowed this building to reach a design potential that would not be possible in a more stylistically-strict approval process. 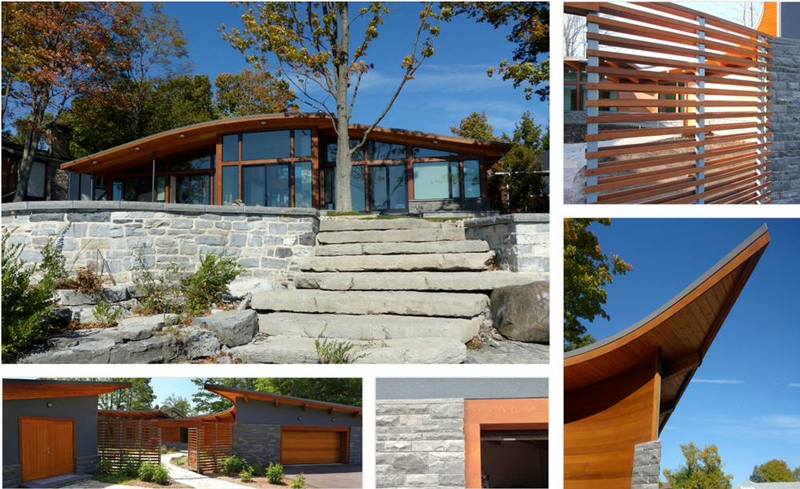 Designer: Colbourne and Kembel, Architects Inc. The Currie and Mackenzie Buildings are two of the Royal Military College’s most recognizable and historically significant buildings. The two joined buildings are prominently situated on the parade square and house offices, classrooms and assembly halls used by students and staff at the college. 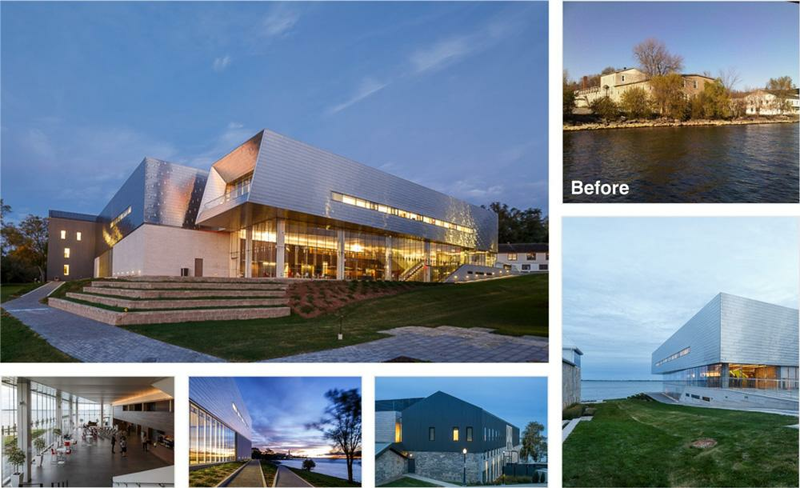 On the shores of Lake Ontario, the Isabel was conceived to be a world-class Performing Arts Centre. Together with the J.K. Tett Centre a new “Arts Destination” has been created pushing the boundaries of urban activities beyond the core. The “Isabel” unites a diverse range of creative disciplines [Music, Drama, Film, and Media Studies] under one roof. The breath-taking views and calm inspired the design language, resulting in a crisp vocabulary and open space as a major contribution to the Alwington neighbourhood, and in an engaging way, to the urban fabric of Kingston. 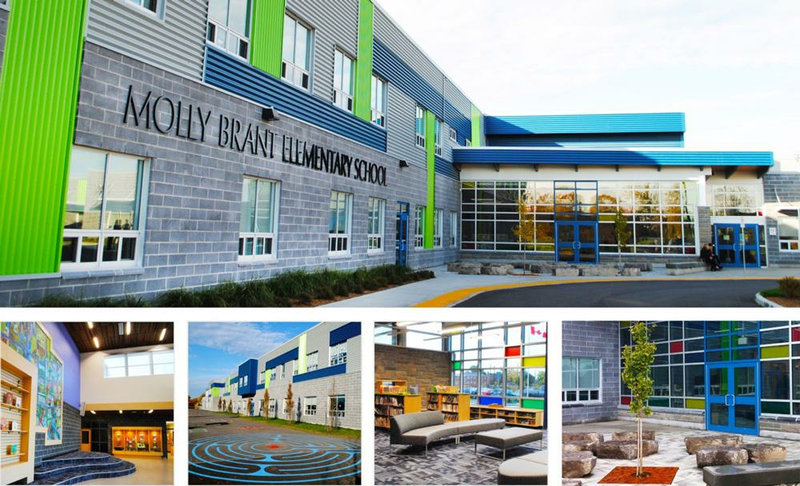 The new Molly Brant Elementary School is a two-storey Kindergarten to Grade 8 school and a consolidation of two school communities (First Avenue and Frontenac Public Schools). On a city-wide scale, infill within the existing urban fabric makes more efficient use of existing municipal infrastructure. 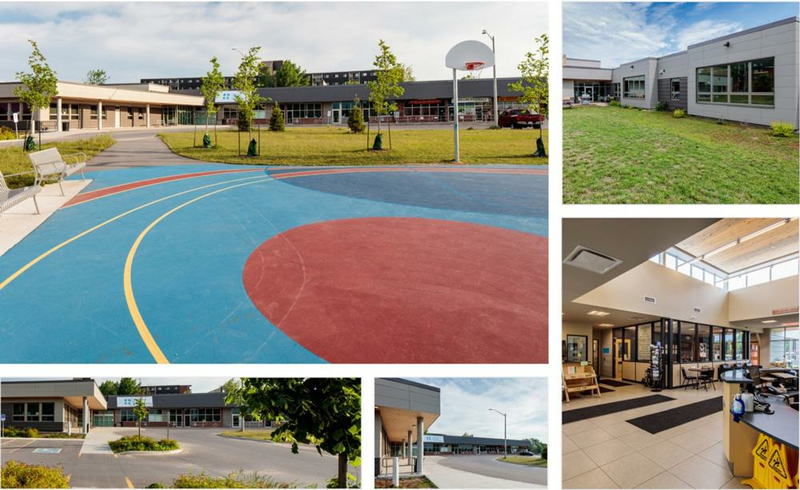 At a community level, the school is positioned on the site with the minimum zoning setback, integrating the building into the surrounding context. 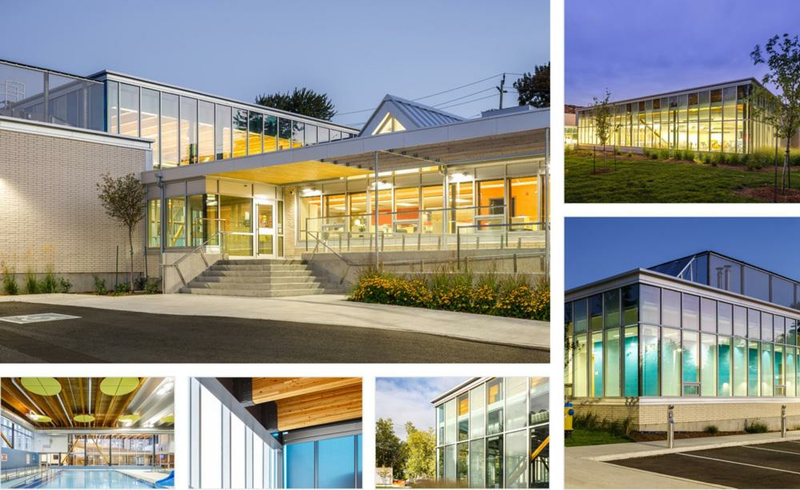 While the materials are durable and robust, the use of colourful panels and glass lend a vibrant atmosphere to the streetscape and expresses the building’s function as an elementary school. Designer: Colbourne and Kembel, Architects Ltd. 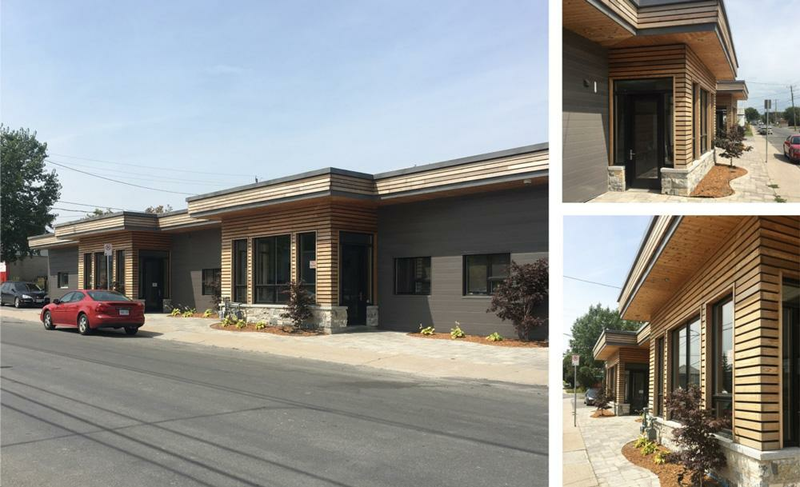 The J.K. Tett Centre is part of an important heritage site for Kingston and Eastern Ontario that was recently renovated to function as an arts hub. 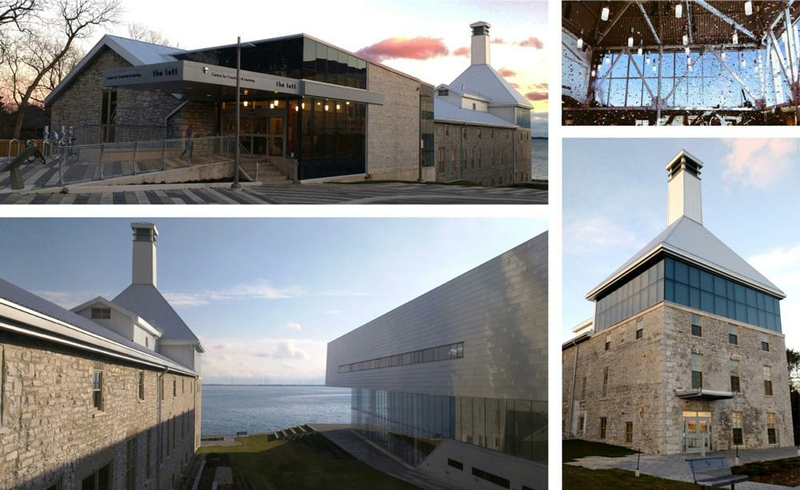 Together with the Isabel Bader Centre for the Performing Arts, “the Tett” represents a creative re-imagining of a former industrial and military hospital site. 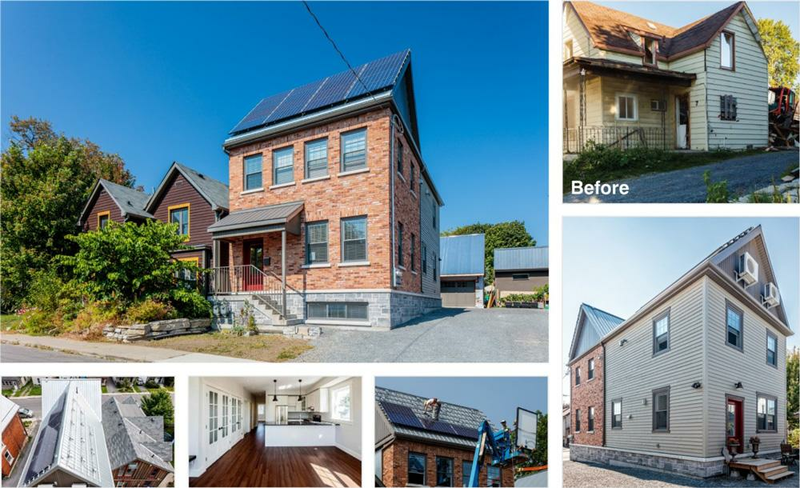 This project saw the demolition of an existing 1960s-era house that had fallen into disrepair, and the construction of a new two-storey, two unit home on the existing property. The project was designed by a father-son team in order to provide housing for the family’s parents/grandparents, in addition to providing a small income to support their downsizing. Designer: Shoalts and Zaback Architects, Ltd. The existing Artillery Park facility was well used, but in poor condition. As the City of Kingston’s only aquatic centre, it was essential to revitalize and improve the facility, which was also inaccessible. The current project was an opportunity to re-organize the original buildings. It makes adaptive reuse of the best parts of the sheds, adds to the pool to strengthen the profile of the Aquatic Centre, preserves street trees, provides pedestrian path with trees and landscaping, and provides accessible seating and pedestrian lighting linking Montreal Street to Bagot Street. 141 Hickson Avenue was an abandoned Industrial building. BPE purchased the building and renovated it. The building is now fully utilized. The project consisted of complete interior renovations, new cladding and a new front façade. Kingston Community Health Centre was previously located in a series of rented locations. The spaces were cramped, programs were disconnected, and the spaces lacked natural light. In 2014, KCHC was able to purchase a largely abandoned shopping plaza on Weller Avenue. This provided the opportunity for KCHC to be located in one place. The new purpose-renovated space is more convenient and functional for clients and staff. Synergies and efficiencies between programs are now possible. The space is light filled and inviting to the Community. 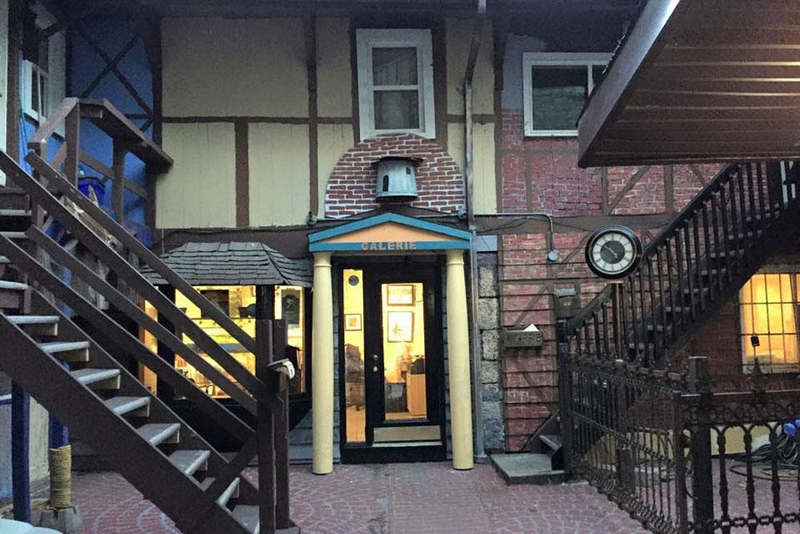 Martello Alley started out as a dream to create a public space where local artists could display their work. The idea was to reclaim a run-down alleyway and convert it to a permeable people space. Martello Alley is based on la Rue du Tresor in Quebec City, because it is an art alley. 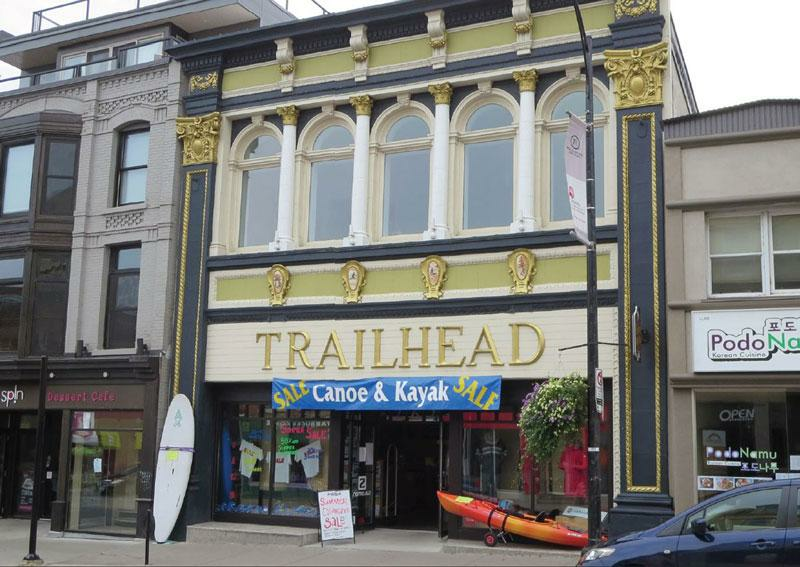 It has created the illusion of colourful storefronts. 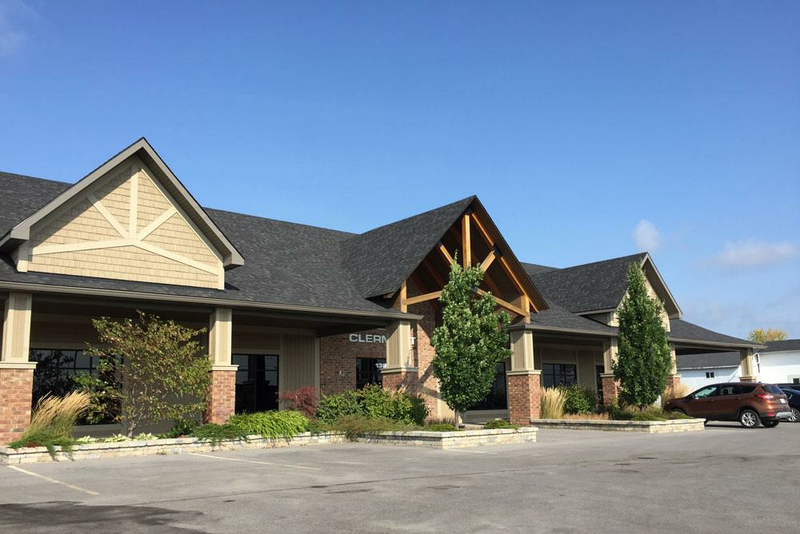 Clermont’s decision to purchase the property of 1391 Midland Avenue in 2010 and convert it to its head office was brought forth by a strong vision by its owners to have a prominent looking building at the entrance of Midland Avenue to Kingston’s west-end as you exit off Highway 401 and Highway 38. The site lines and quality of craftsmanship and materials are unmatched to anything that was and is located on Midland Avenue. Street Health was formally located in a windowless, inaccessible basement space. The new Centre is fully accessible and filled with controlled natural light. The existing building is a loft style commercial warehouse from the early 20th Century. It is a rare example of an early modern industrial structure in downtown Kingston. View the press release announcing the 2014 winners or the jury report. 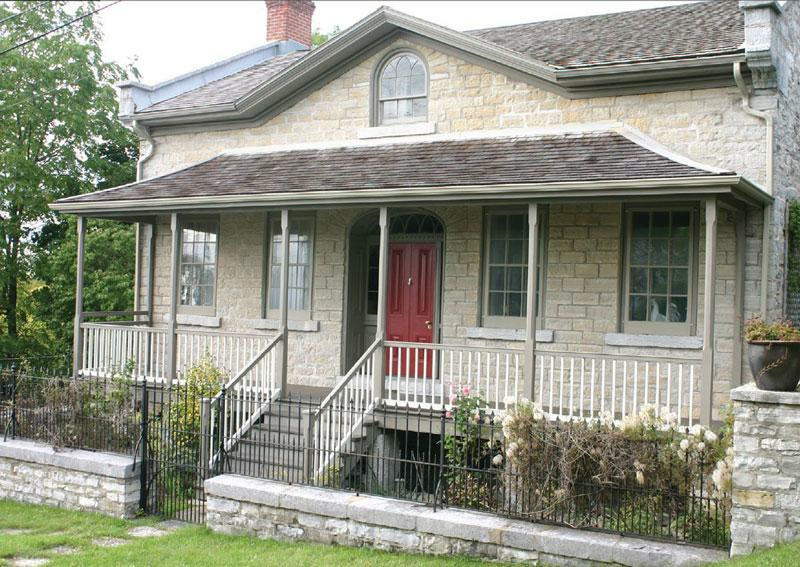 This limestone farmhouse dates to the late 1800’s, and is a familiar landmark for travellers along the highway. Following a period of trespass, vandalism, and a major fire the building suffered increasingly serious structural problems. 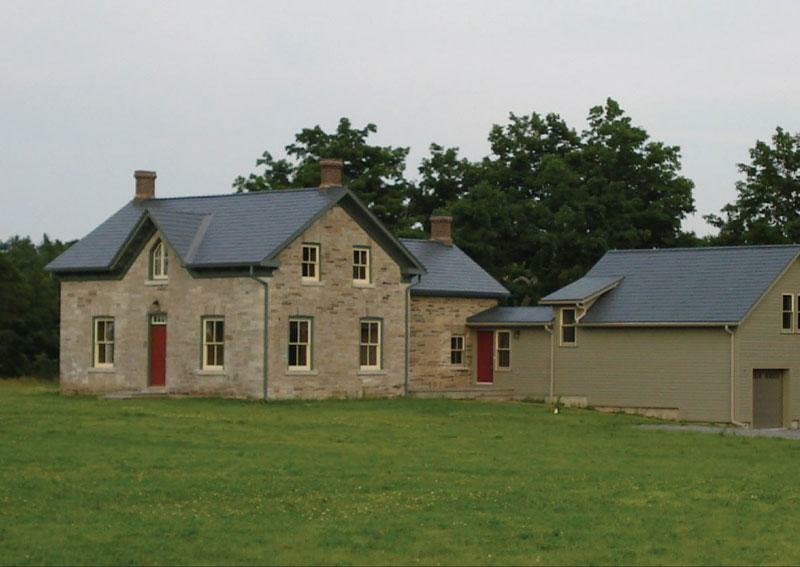 The project included repairing the limestone walls, replacing the roof and chimney, restoring the windows and trim and interior elements, and integrating a new addition, all in a successful and accurate pre-fire restoration. The building takes multiple steps to create a safe and productive learning environment. It uses the corner placement for locating major public spaces (entrance, library) and plans the site to facilitate walking, safe pedestrian passages, bicycle access and parking. It uses windows for daylight and views to and from from the street, integration of durable construction materials, design for universal accessibility, and automated systems for efficiency. 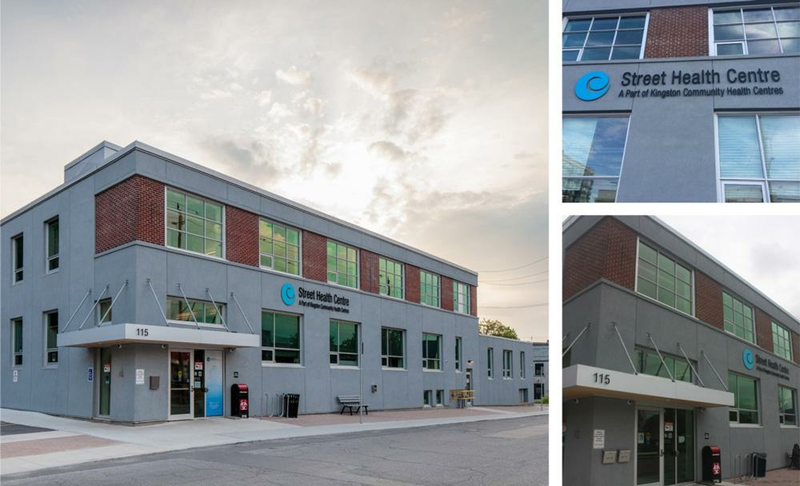 This project successfully restored and adaptively used the iconic S&R building for a multi-tenant commercial and office development. The design preserves and restores the original 19th Century building, re-establishes the integrity of original design and creates the flexible spaces and the new building infrastructure needed to meet the needs of the current users. Features include reconfigured barrier-free access, previous blank facades replaced with curtain wall windows, an outdoor patio and sustainability features that bring the project to LEED Silver standards. After being abandoned, neglected and vandalized for a number of years, Barriefield’s James Medley house has been undergoing the process of reclaiming the historic appearance. Part of this process was this project, which consisted of replacing its long missing front veranda, the result of which has dramatically changed the face that the house had presented to the street for over the last 100 years. 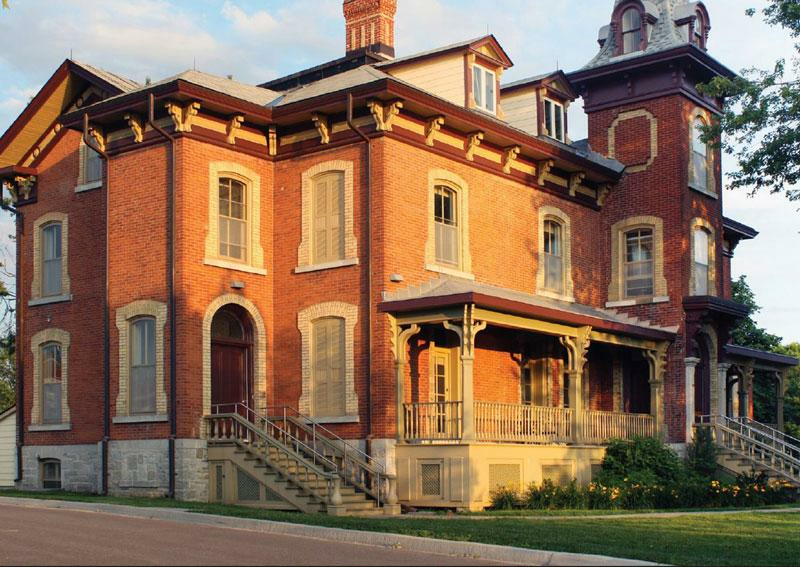 Located at the Royal Military College, the prominent Hewett House project re-established the original landscape and ornamental driveway, conserved and repaired the historic architecture, and adapted the house to new uses. This provides the focus for the needed investment and the needed ongoing use which is essential to the continuing viability of the historic structure, and the project sets a new standard of restoration and stewardship of historic buildings at the R.M.C campus. These New Urbanist homes are designed to create a harmonious streetscape that avoids garage and driveway dominance. 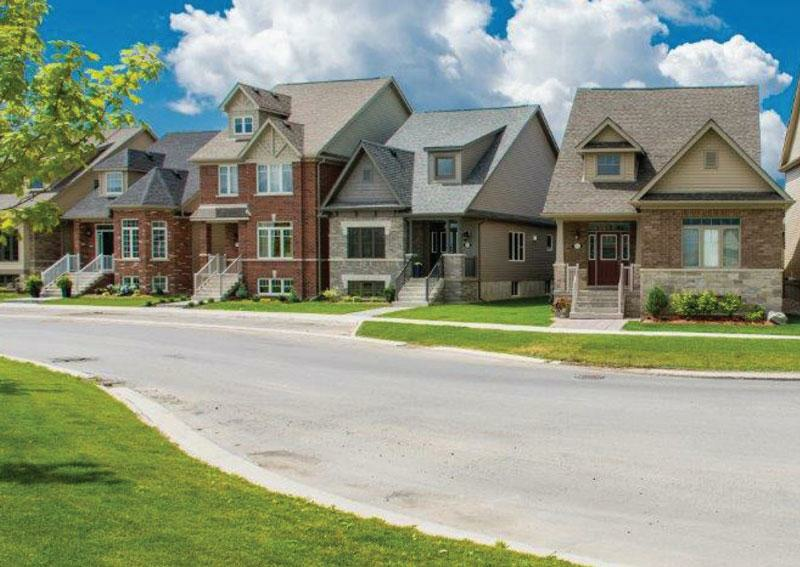 From the brick detailing to precast quoins and corbels, the architecturally controlled exteriors and private courtyards have homeowners excited about living in a unique neighbourhood. This extensive renovation of the interior and exterior of this historic building included the rebuilding and restoration of the original façade. 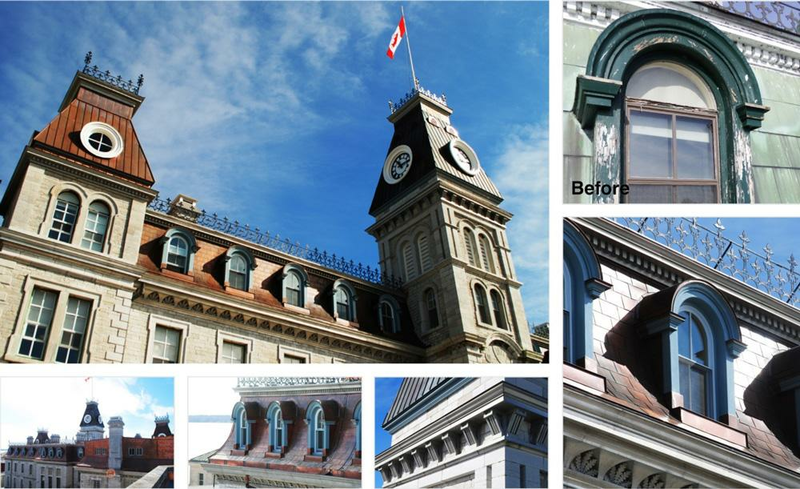 The restoration project is a seamless transition between new and old and adds to the beauty of Kingston’s downtown heritage landscape. 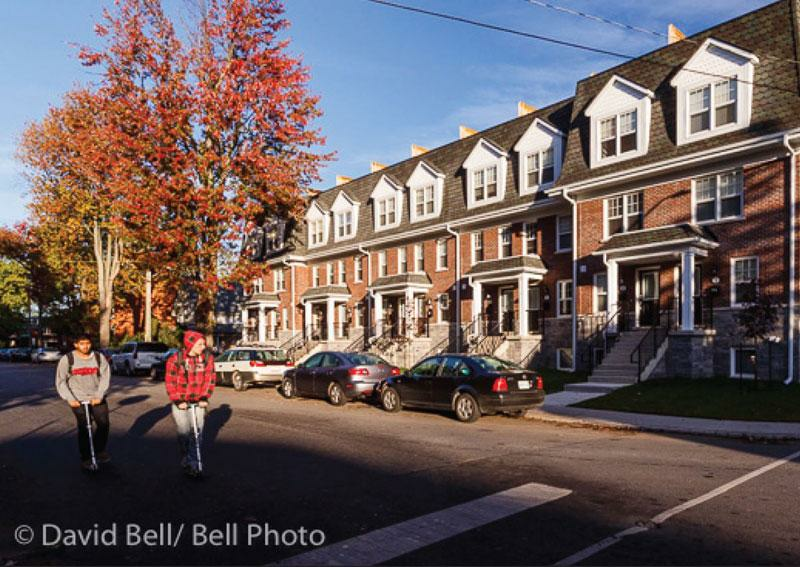 This project restored two historic houses on Barrie Street, connected them with the new medical facility on Arch Street and created one fully accessible, unified, integrated four-storey complex serving the School of Medicine’s needs for teaching and administration. 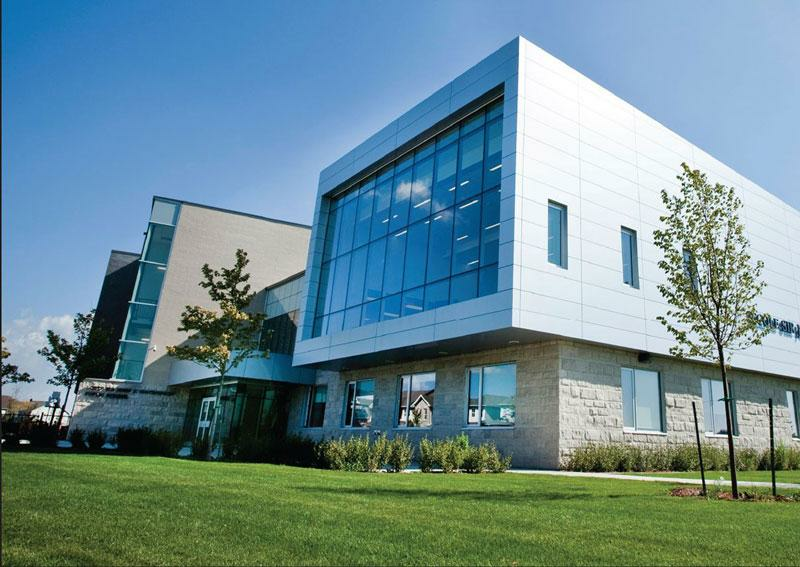 The building fits unobtrusively behind the historic houses on Barrie Street adjacent to City Park and incorporates natural limestone to result in a large, complex, highly technical facility with multiple sustainable design features sitting comfortably within the centre of the most historic part of campus. The development of Park Lane Suites has met its overall intention: to provide quality housing and improve the safety and reputation of the student district, and the city of Kingston overall. 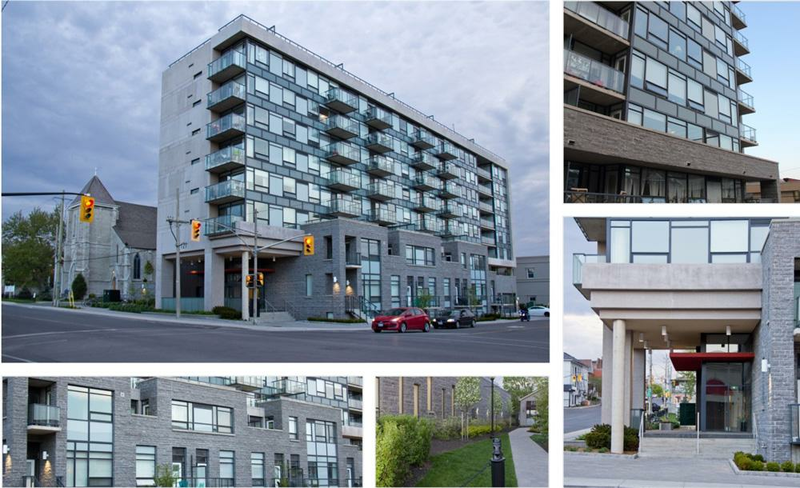 Adjacent to Victoria Park, the project introduces street-oriented high-quality residences with careful attention to architectural detail and constructed of durable materials such as smooth-cut limestone. 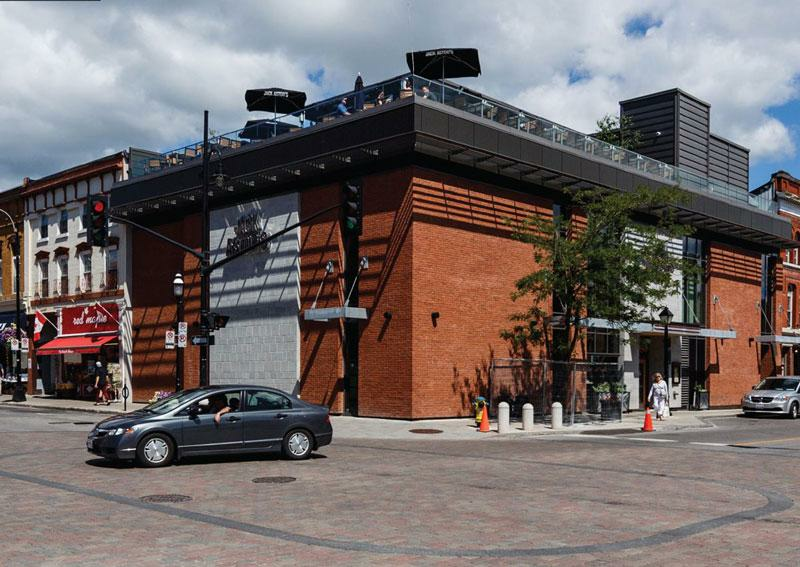 This high-profile project adjacent to Springer Market Square renovated a monolithic modernist building to meet the needs of a new restaurant while respecting the heritage of the streetscape. The work included reinforcing the roof, creating a new roof top patio, recladding the façade, converting the interior to restaurant use, installing new windows, a modern cornice and canopies. 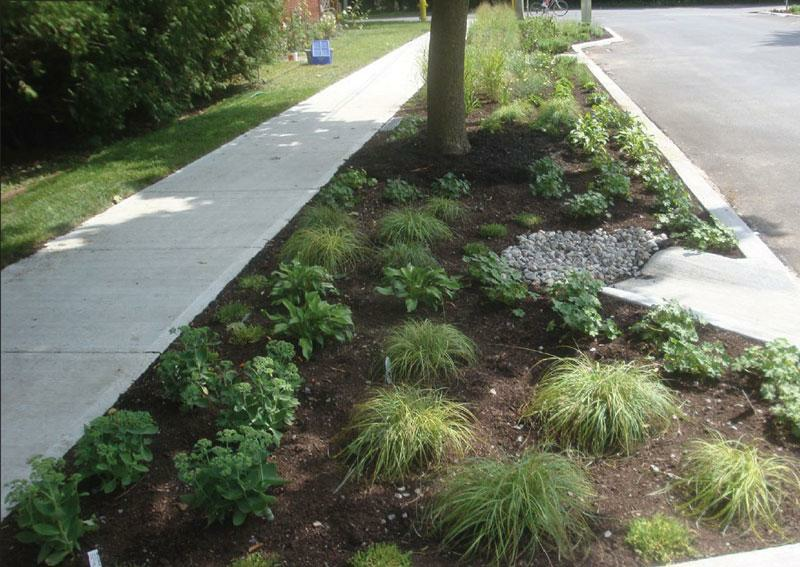 The Alwington Avenue Bioswales help control, divert and filter rain water while adding to the beautification of the City. Alongside a road resurfacing and new sidewalks installation, the bump-outs with water intakes create bioswale zones at north and south ends of Alwington Avenue and also act to calm traffic and reduce speeding by non-residents. Located downtown and constructed in 1852, the proudly restored Alford Building is comprised of seven apartments and three commercial spaces. 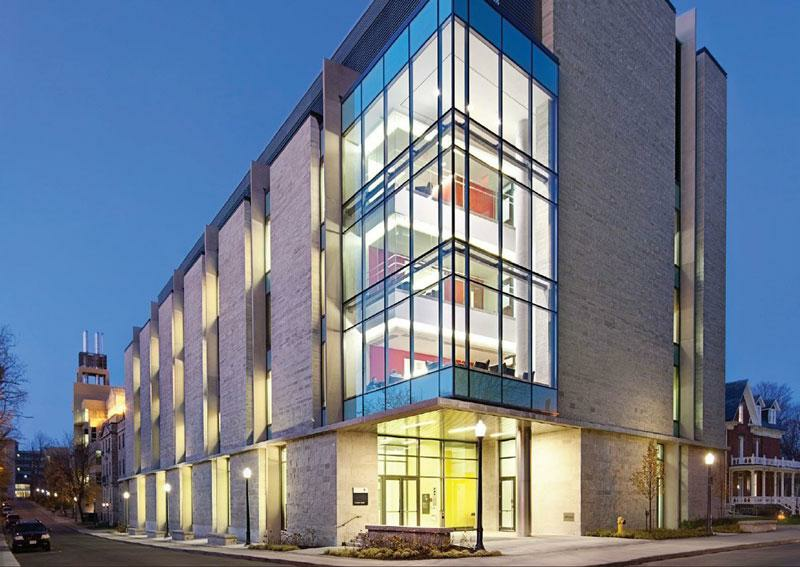 The goal of the renovation of the Alford building was to merge the old physical characteristics of the building with environmentally viable technologies. Overlooking Lake Ontario, this house was originally constructed as a stone boathouse in 1841 as part of a larger property. Extensive renovations and changes to the landscaping have made the house and the area more open and inviting for both the occupants and public. 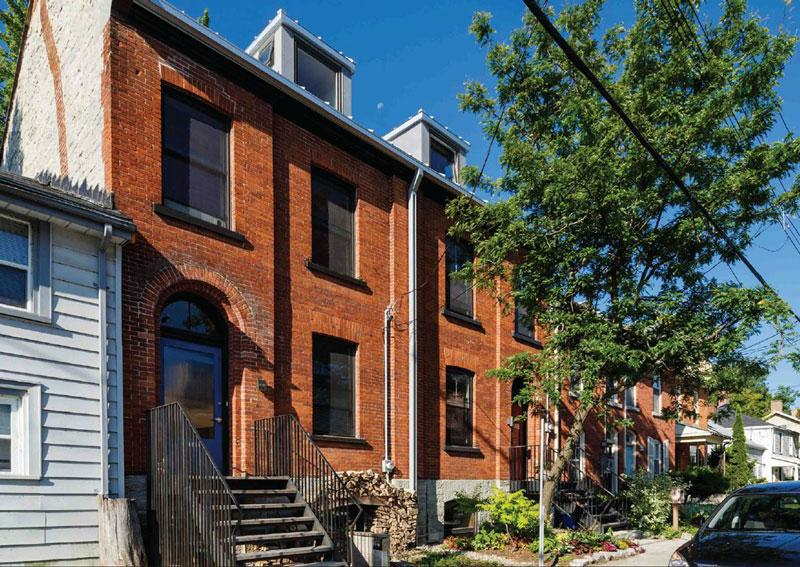 These modest attached 1860’s houses are an example of the typical historic fabric. They have been carefully restored while being adapted to contemporary needs including replaced roof, matching dormers, reconstructed additions, new stairs and landings. 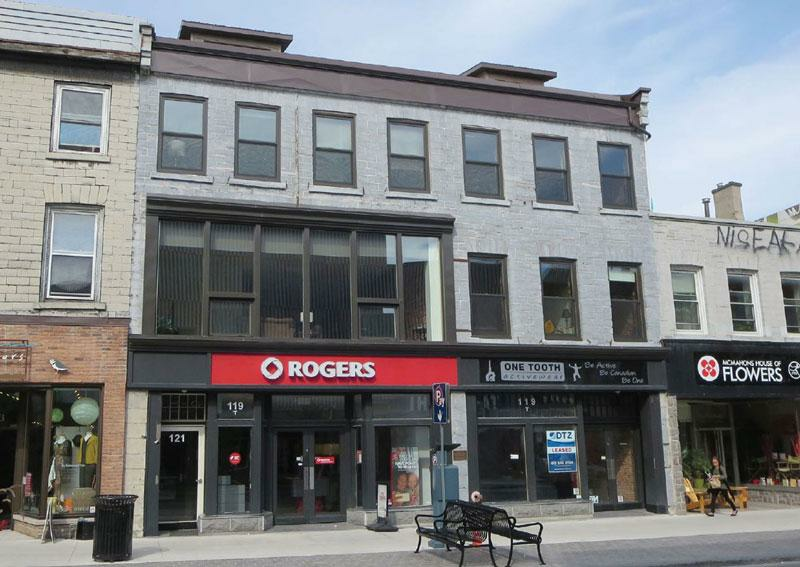 Located on a central block downtown 258-260 Princess Street project retains the prominence of the 19th century storefronts by reconstructing and restoring the original façade, adds a new floor that is set back from the street and provides a roof top patio for the upper residential unit.